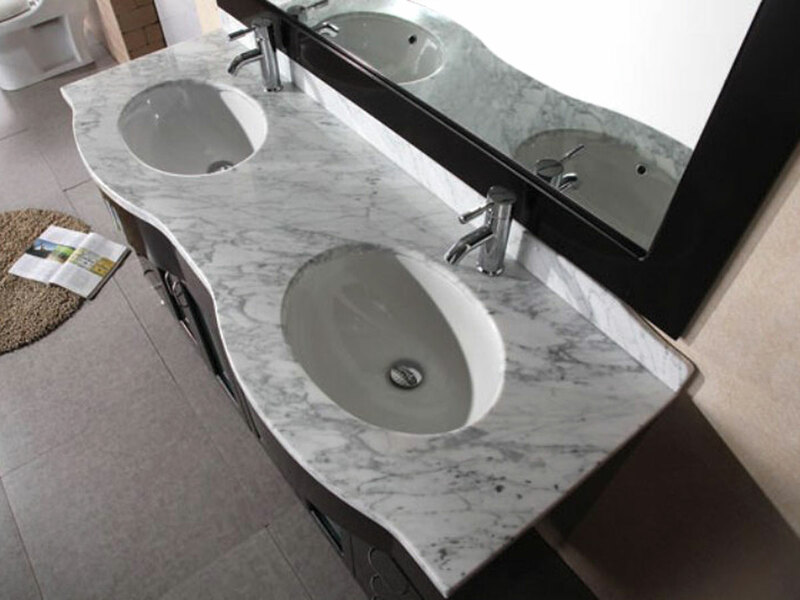 The sophisticated White Carrera Marble top, combined with the Espresso finished cabinet makes the 61" Bello Double Vanity an attractive piece to have in a bathroom. 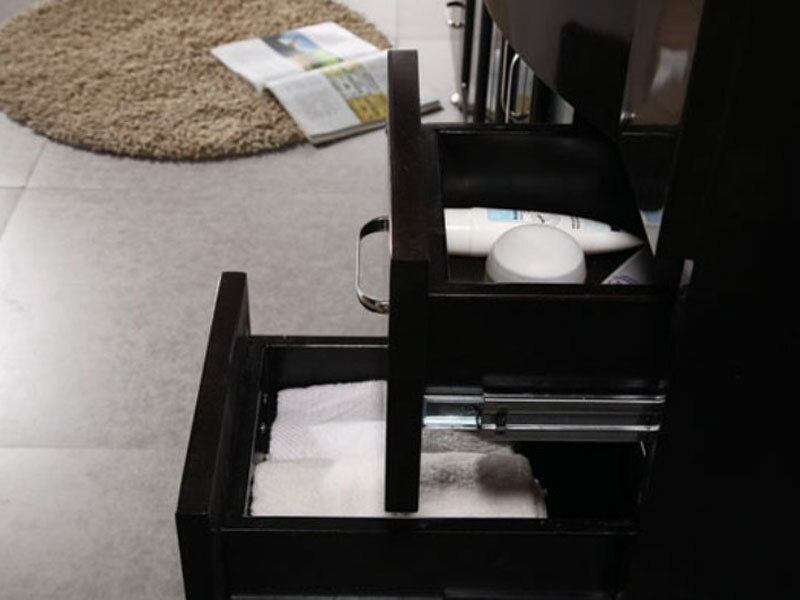 Its design features sharp lines and a functional form - with two double-door cabinets and 6 fully-functional drawers. 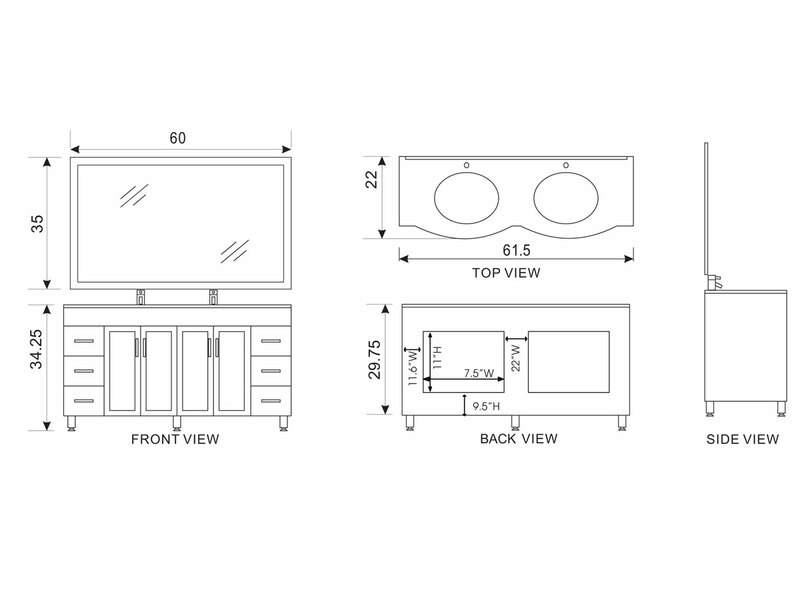 Each cabinet door is adorned with Satin Nickel hardware and a glass insert, and are all equipped with soft-closing hinges, while each of the 6 drawers are adorned with matching Satin Nickel hardware. 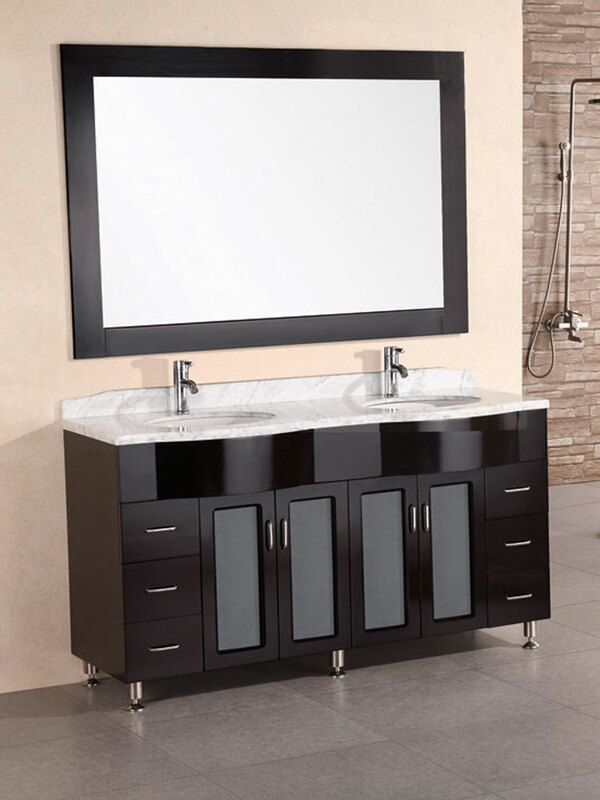 This vanity also includes a large matching mirror.